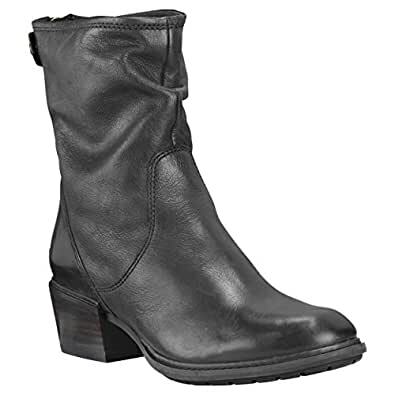 Add a classic touch to your ensemble wearing the Timberland Sutherlin Bay Mid Back Zip Slouch Boot. The OrthoLite(r) footbed ensures moisture-wicking and shock-absorption, while the MirrorFit™ comfort system provides a custom fit. Moreover, the Defender Repellent Systems™ resist water and oil-based stains.